When I was a kid I used to read on the backs of cereal boxes that if I sent boxtops and some money to YOUNG AMERICA MINNESOTA they would send me some cheap crap. Later I mistakenly believed there was no such place; it was all some kind of postal fiction. Eventually, I dicovered there really *is* such a place. 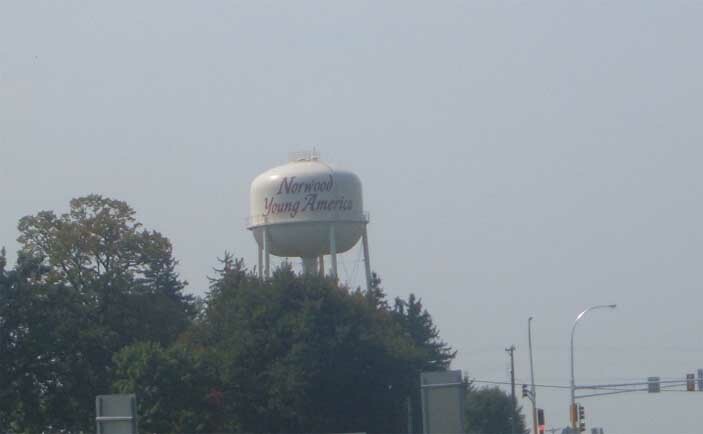 And I was there, to take a picture of their water tower. It took a full day to bike the 100 miles to Olivia, 10 miles away from Renville. After a few days I made my way into Renville. 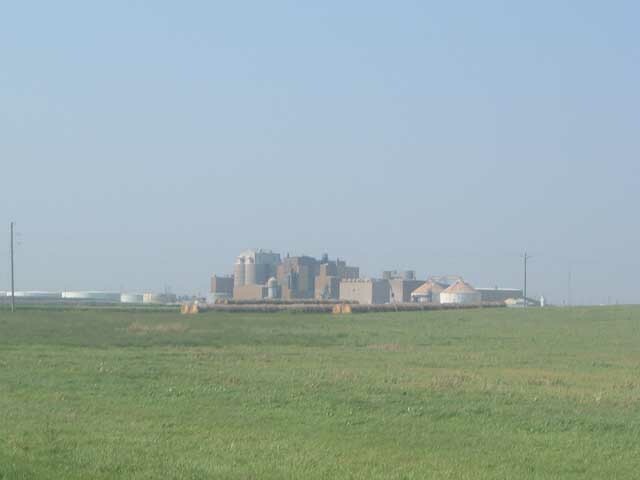 Here is the beet sugar factory, as seen from a little over a mile southeast. It's HUGE! 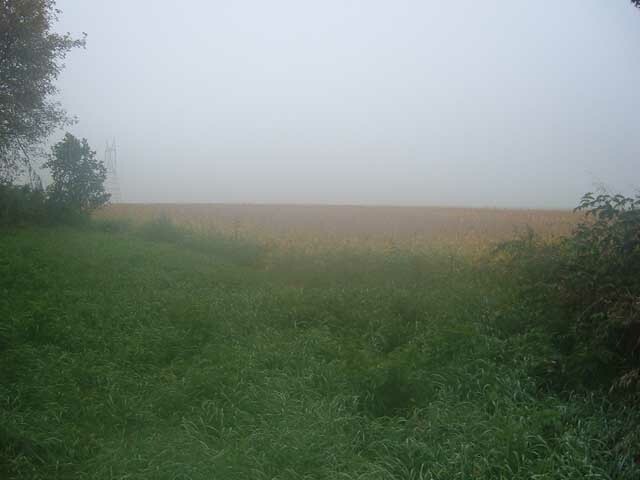 It can be seen from 4 miles away. 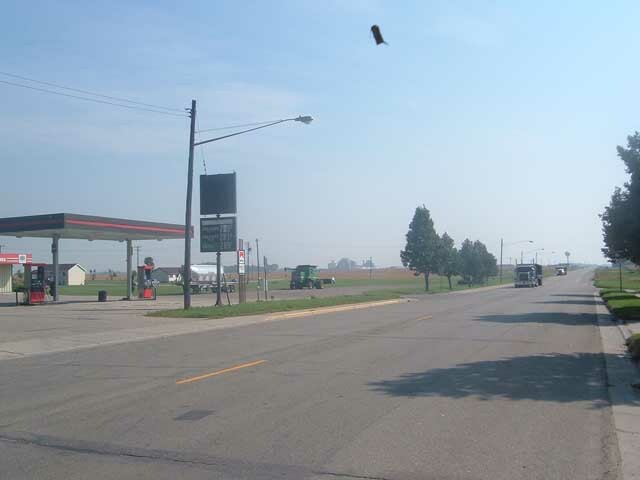 A couple more shots of Southern Minnesota Beet Sugar Cooperative, from across Rte 212 from the Handi-Stop. 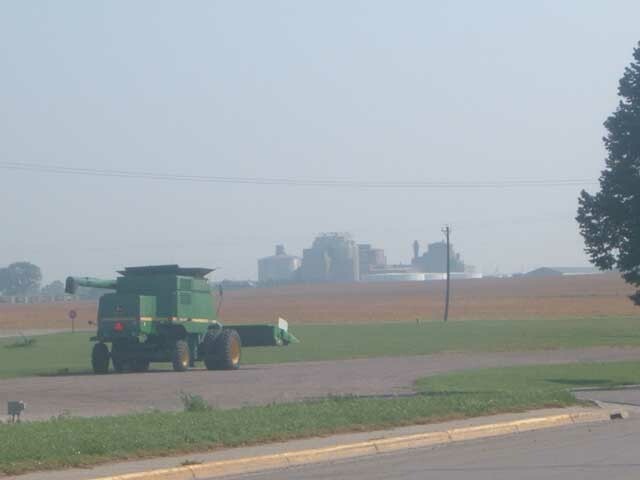 Nothing says "Midwest" like big farm machinery. I haven't been taking nearly as many pictures since I've actually lived here. The only real *bunch* I've taken since then were the ones from Matt's birthday. Oh yeah I also took some at the Tare Lab.